Interview: Jim Bell, Author Of 'The Interstellar Age: Inside The Forty-Year Voyager Mission' The Voyager spacecraft revolutionized our understanding of space. In a new book, The Interstellar Age, planetary scientist Jim Bell shares stories about the planning and excitement back on Earth. 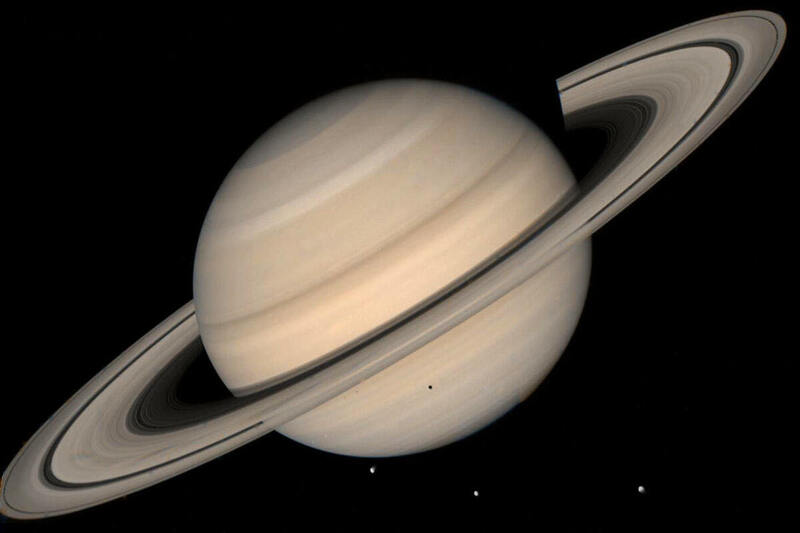 This NASA file image shows a true color photo of Saturn assembled from images collected by Voyager 2. Back in 1977, the Voyager spacecraft reached a point where they could turn around and give us the first complete image of the solar system. 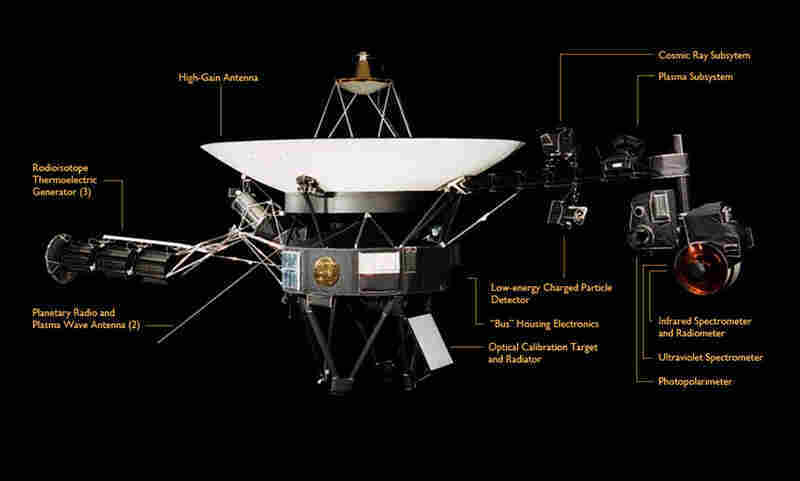 NPR's Arun Rath talks with Jim Bell about the first "solar system selfie"
The Voyager spacecraft have revolutionized our understanding of our solar system since their launch in 1977. After decades of sending back data on our planetary neighbors, Voyager 1 and 2 are entering new territory: interstellar space. 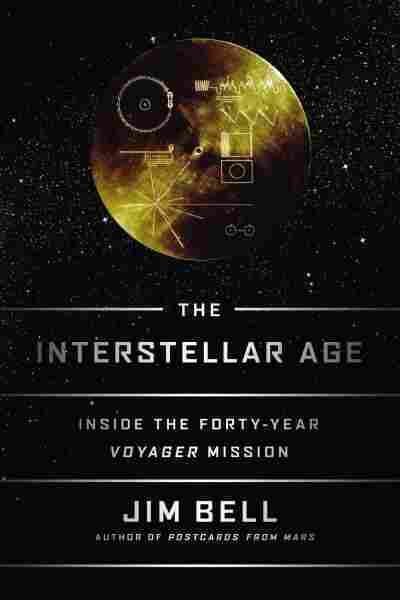 In a new book, The Interstellar Age: Inside The Forty-Year Voyager Mission, planetary scientist Jim Bell shares the amazing human stories behind the machines' mission. "Voyagers are one of the grandest, most remarkable, incredible voyages of exploration that humans have ever taken," Bell, president of the Planetary Society, tells NPR's Arun Rath. "It just so happens that we're taking that voyage through the eyes of robotic travelers." The book goes behind the scenes into tense control room moments at NASA's Jet Propulsion Lab, the compromises made in planning flyby encounters and the excitement of getting never-before-seen views of the cosmos. It's also part personal memoir, as Bell explains how his own life is delicately intertwined with the Voyager mission. NASA launched its twin Voyager spacecraft in 1977. Back in those days there was no Internet so in order to see what was happening you had to be there. And there was the Jet Propulsion Laboratory in Pasadena, Calif. And I was an undergraduate at Cal Tech, also in Pasadena, and I was working for an amazing guy named Ed Danielson who was part of the Voyager camera team. He arranged to get me into the room where all this action was happening, where all these pictures were coming down in real time. And there was nowhere like that on the planet. The Voyager was the first completely re-programmable spacecraft computer system, but it's less advanced than a car keyfob. They were very stressful times and stressful places because the Voyagers are flyby spacecraft; they're not orbiters, they're not rovers, they can't redo something. So you only get one shot. If you didn't set the exposure level right on the camera, too bad! The Voyagers have literally changed the textbooks. All these spectacular pictures that we've seen, the Great Red Spot of Jupiter, the rings of Saturn viewed from behind Saturn — none of that was known. They were all points of light, even in the world's largest telescopes before the 1980s. So all of a sudden, and we really felt this, we were going to transition for the first time to see these places as worlds of their own — not just dots up in the sky but as real worlds with geology and atmospheres and histories. And as my colleague Larry Soderblom, who I quote in the book, said, "You can only discover the solar system for the first time once." And that's what Voyager did. 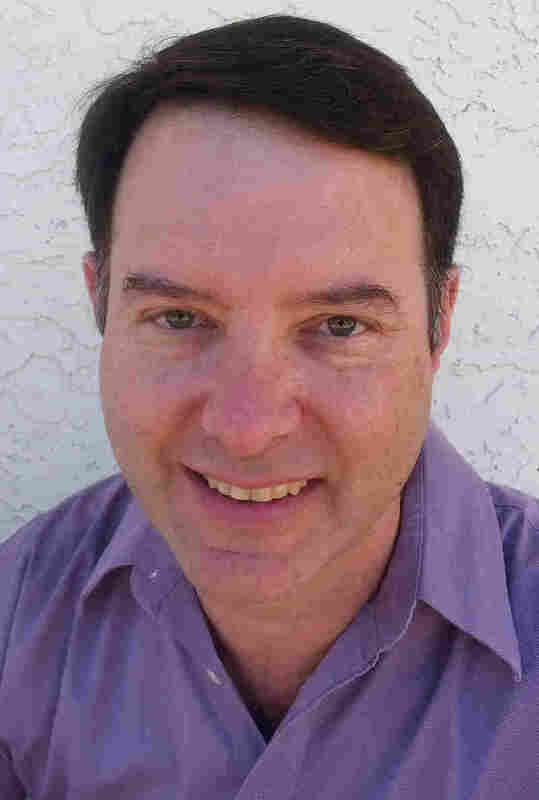 Jim Bell's other books include Postcards from Mars and The Space Book. Voyager 1 and 2 are now more than 10 billion ... miles away from the Earth. And they're traveling at about 10 miles per second — about 38,000 miles per hour. They're the fastest things that humans have ever sent anywhere. You can try to imagine one of the spacecraft passing through your neighborhood at ten miles per second ... And yet, at those speeds, it's taken 40 years to get out near the edge of our solar system. It's just very exciting to be able to literally enter interstellar space. And along with the spacecraft we've all entered the interstellar age ... because now we have interstellar travelers among us.